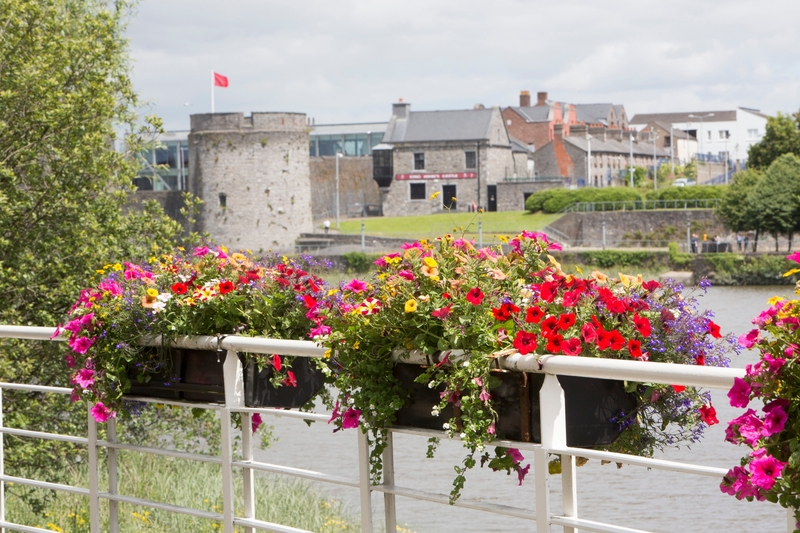 A BOUQUET of new floral displays are adding a splash of colour to Limerick city centre. Amid the glorious summer, Limerick City and County Council’s Parks Department has seen its floral displays blooming thanks to warm temperatures and blue skies. The council’s Parks Department has said it is receiving ‘daily positive feedback’ from the general public and visitors alike about the pretty displays, which are adding a natural splash of colour to the streetscape, the bridges and in public parks. 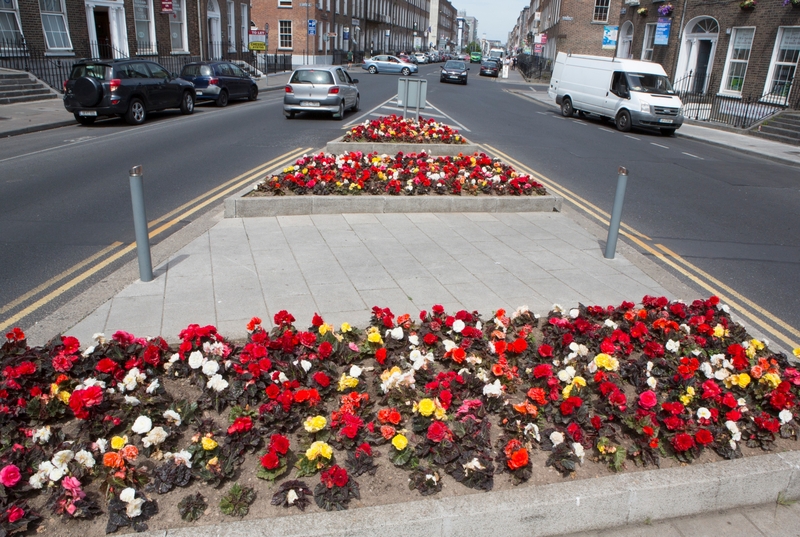 Flowers are blooming in hanging baskets, tiers along the streets, in containers and flower beds on some of the major roundabouts approaching the city, boxes on streets as well landmark locations such as the O’Connell Monument, Pery Square, the People’s Park, and O’Brien’s Park on Clare Street. “The floral displays are helping to create a welcoming and attractive city centre. People often comment to me about how pretty Limerick is and these displays make the city look really stunning,” said Mayor of Limerick City and County Cllr James Collins. “I want to pay tribute to the Parks Department who have really worked very hard to make Limerick look so well this summer as well as undertaking an extensive grass cutting programme, over 330 acres of greens in parks, open space and estates as well as tree planting and pruning,” he said, noting that the Parks staff are also there to offer support and advice to community groups and resident associations with any advice on horticultural issues and projects. 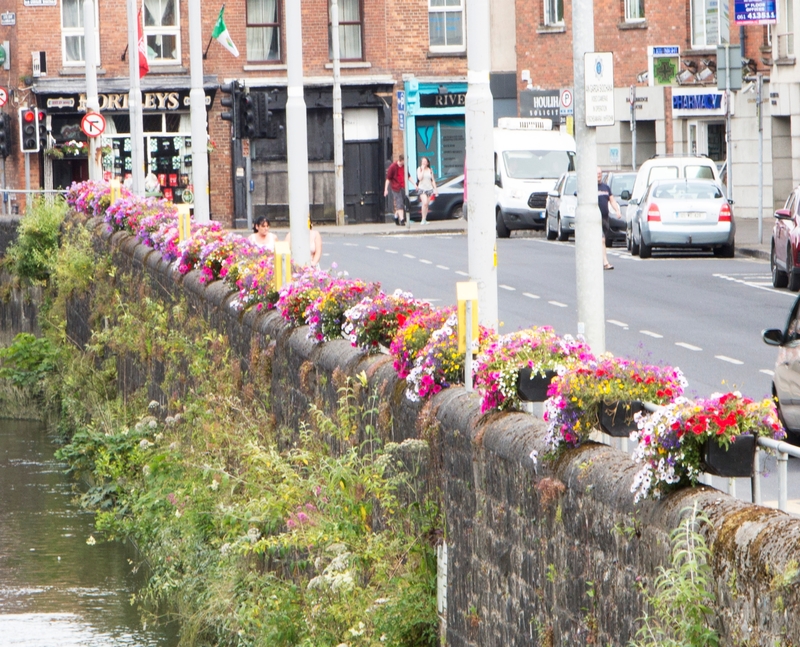 Parks Superintendent Michael Sheehan said it had been “a tremendous year” for the thousands of bedding plants in public parks, the streetscape and the displays on eight of Limerick’s bridges. “Some new flower varieties have been added which are increasingly being used to improve biodiversity,” he said. “We are proud of the visual enhancement of Limerick city through the Bridges in Bloom project over the last few years and new varieties of Lobelia, Bidens and Begonias have been planted which have proven very successful.